DanceDance.com Artist review: Kevin Osorio (DJ KO5) – Podcast, House Music Downloads & Mixes, all new Rare Traxx. Biography: Kevin Osorio, a.k.a. 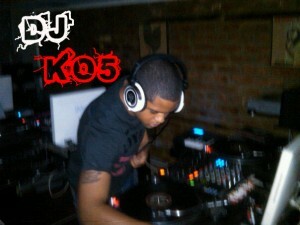 DJ KO5 is an electronic DJ from New York City, NY. He has been DJ’ing professionally for about 3 years, all around the tri-state area. Currently, he works at Dubspot (www.dubspot.com), an electronic music production/DJ school in New York City and a valuable resource in the amateur DJ community. He is also involved in party planning and has been a Promoter/DJ for DJ MAMBI, Connect Parties, Four to the Floor events, Zens Lounge, House Bangers Presents, Wet Campus Wednesday and Silly Elephant. He learned his skills at the DJ and Music Production School, Dubspot. His style and technique are what sets him apart from other DJs. He loves to spin house and electro house and is known to play the best electro tracks known to man. He has an ear for music and will make any crowd go wild. His main goal is to entertain the crowd and share his music around the world and will not stop until he accomplishes that. Our Thoughts: Alright everyone, we have someone new for you all. His name is DJ KO5 , he produces Electro/Dutch/Dirty House, Hardstyle, Progressive, Trance, Dubstep, Hip Hop, and Latin music. You see that long list? Yes this guy is the real deal and obviously a versatile DJ. KO5 has the skill and music mixing abilities to appeal to a wide variety of electronic music fans, and does so with a impression. This guys tracks are all hot, some of the best stuff Ive heard in a longtime. His main goal, he wants everyone to go wild when they hear his music, rather its at home or at the club. Does he do it? Well that’s a question you will have to ask yourself, but he sure as hell does here at dancedance.com. His music is quality electronic music and should be heard by everyone. We would defiantly recommend everyone to take a listen to his music! Some links to tracks will be listen below for just that reason, along with contact information for DJ KO5.